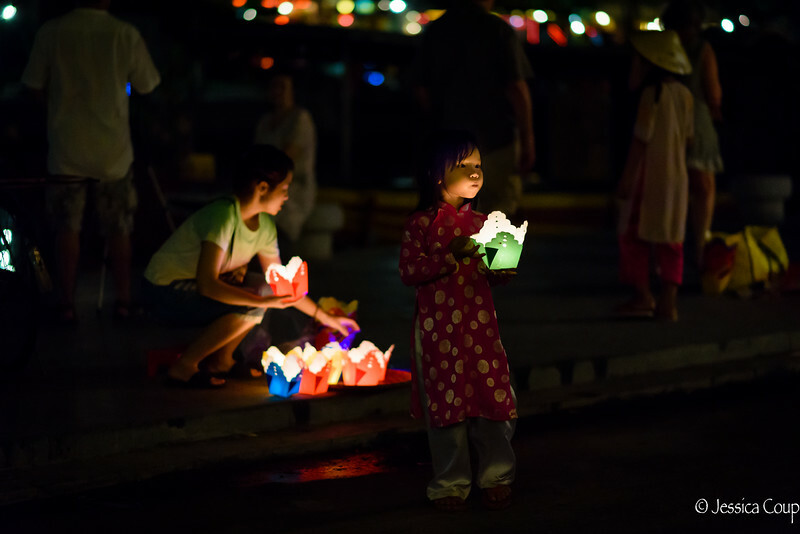 Hoi An in Vietnam can be described as a small, quiet fishing village and trading port city that is a welcome break from the hustle and bustle of Vietnam’s major cities. However, there is much more to this beautiful, well preserved, quaint town. You immediately notice that it bursts with an abundance of color. The yellow painted walls, beautiful array of lanterns for both hanging and to put into the water in the evening, the deep blue sky against the rich green rice fields and the vibrant colorful patterns the local women wear to protect themselves from the sun. Put this all together and Hoi An over loads the senses in a beautiful way. The busy food market in old town, the bikes and motor bikes weaving in and out of the throng of tourists gawking at the live fish, exotic fruit and vegetables and unidentifiable meats are among the many sights to be relished in Hoi An. Tailors and shoe cobblers asking to make bespoke outfits for you is a contrast to the quiet walk just a few minutes outside of the UNESCO site where the countryside is full of buffalo grazing in the rice paddies, men walking their cattle (and ducks!) down the main street in a neighborhood and women gathering lotus flowers at sun rise before the flower opens to the morning sun. The town may be described as sleepy as everything closes at 10 p.m.; however, the food scene in town is anything but languid. Whether casual dining along the river in old town, down back alleys or seaside, the restaurants are full of unique ambiance, chatty owners and unforgettable food. Waking up early to escape the heat, biking to the beach, spending the day cooling off in the sea and walking along the white sandy shoreline is highly recommended.